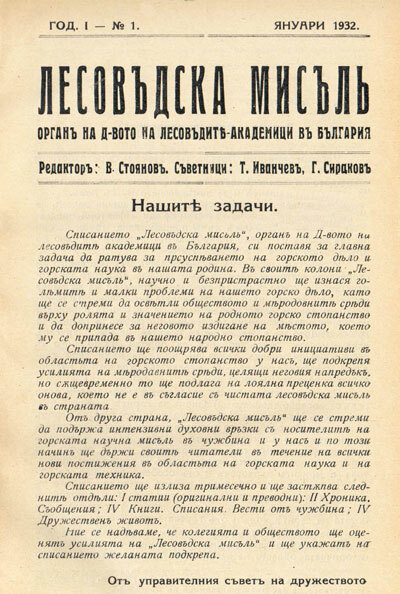 The journal Forestry Ideas is issued by the University of Forestry in Sofia. It is a peer-reviewed scientific journal publishes materials in the field of forestry, landscape architecture, ecology and environmental protection. Manuscripts go through a peer review process by at least two independent anonymous reviewers. 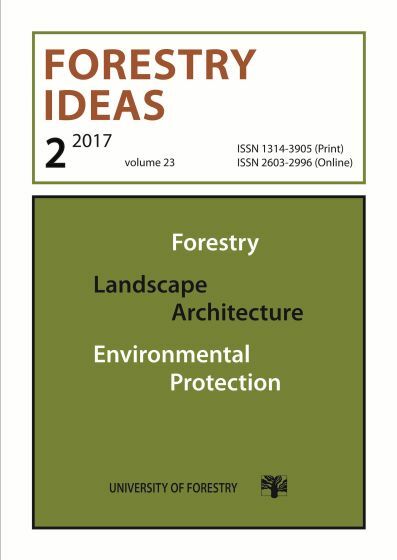 Forestry Ideas is published two times a year: No 1 (July/August) and No 2 (December/January). The Journal is abstracted/indexed in: SCOPUS database of Elsevier, CiteFactor, CAB Abstracts (AgBiotechNet, AgBiotech News and Information, Agricultural Economics Database, Agroforestry Abstracts, Agricultural Engineering Abstracts, Animal Breeding Abstracts, Biocontrol News and Information, Crop Physiology Abstracts, Environmental Impact, Environmental Science Database, Forestry Abstracts, Forest Products Abstracts, Forest Science Database, Horticultural Science Abstracts, Irrigation and Drainage Abstracts, Plant Breeding Abstracts, Plant Protection Database, Poultry Abstracts, Review of Agricultural Entomology, Review of Plant Pathology, Seed Abstracts, Soils and Fertilizers Abstracts, Soil Science Database, Weed Abstracts, World Agricultural Economics and Rural Sociology Abstracts), AGRIS-FAO and OAJI. 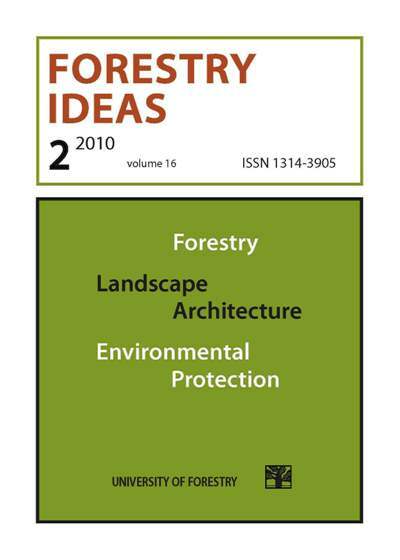 "Forestry Ideas" was established in 1932 as an organ of the Society of academic foresters and it was published until 1943. 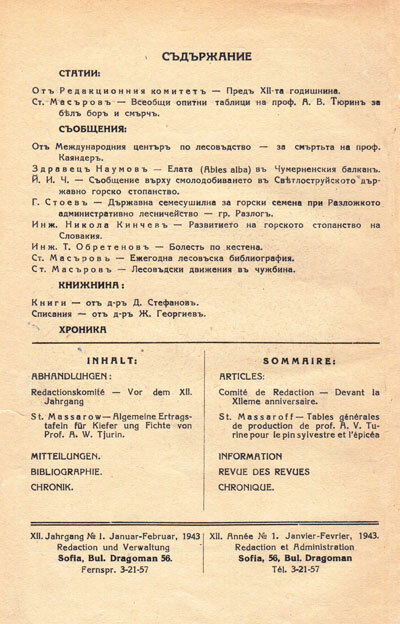 Its first and longtime chief editor was prof. Vassil Stoyanov. 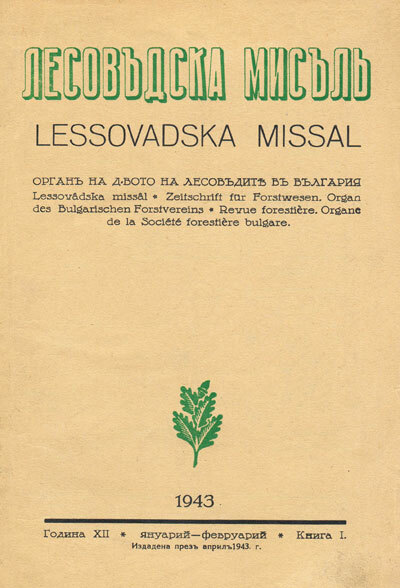 Since 1939 "Forestry Ideas" and the journals "Forest Review" were press organs of the united organization the Society of Foresters in Bulgaria. 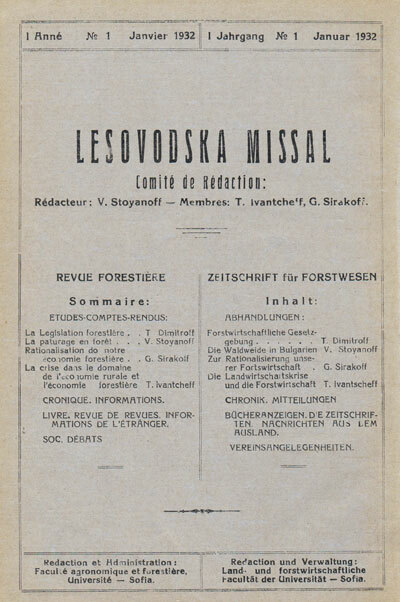 The journal was resumed in 1994 and it is issued by the Publishing House of the University of Forestry. 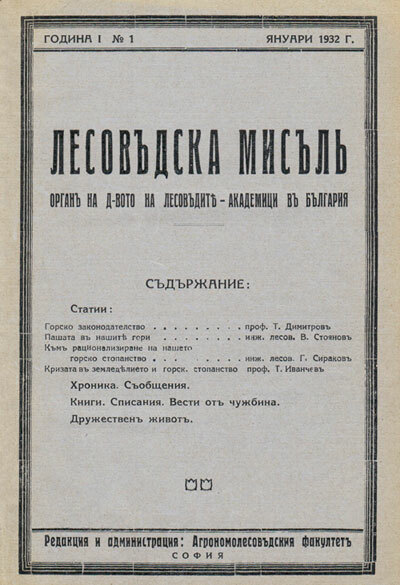 Since 2010 it is published in English. 10 Kliment Ohridski blvd. 10 Kliment Ohridski blvd.